Special three pack £15 - Limited Stock. Normal price £6.50 per tin. Perfect blend for your FrancisFrancis espresso coffee machine. Also use in X1 1st and 2nd Gen Classic, X2 Classic, X3, X4, X5. 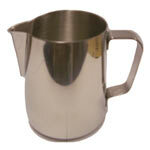 A dedicated ground coffee handle is required to use ground coffee. Composed of nine distinct highest-order Arabica coffees spanning four continents, purchased directly from the growers who nurtured them. Perfectly balanced, with a delightfully distinct taste and aroma. 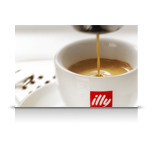 Re-calibrated with each harvest to consistently provide the signature illy taste, cup after cup after cup. Expertly blended prior to roasting and cooling. 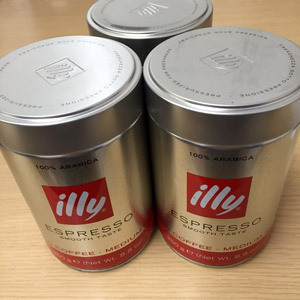 Fresh taste and aroma preserved through pressurized packaging.